A second shower curtain rod can make all the difference. 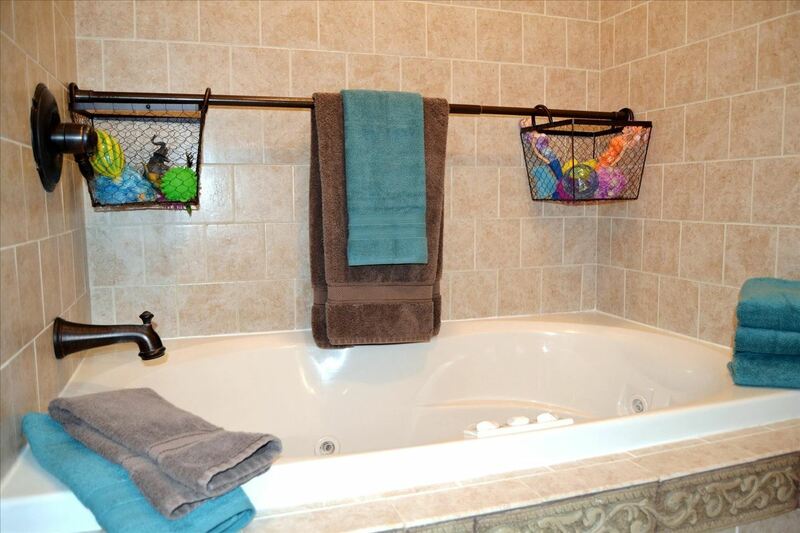 You can place a shower curtain rod inside of your shower next to the wall, opposite your other rod (or top of your shower door), then hang cheap plastic baskets on them from shower curtain rings—as many as can fit. Once your hanging baskets are added, you can fill them up with bath and body products, or even commonly used cleaning supplies. And you can use extra hooks to hang single items directly from the rod. 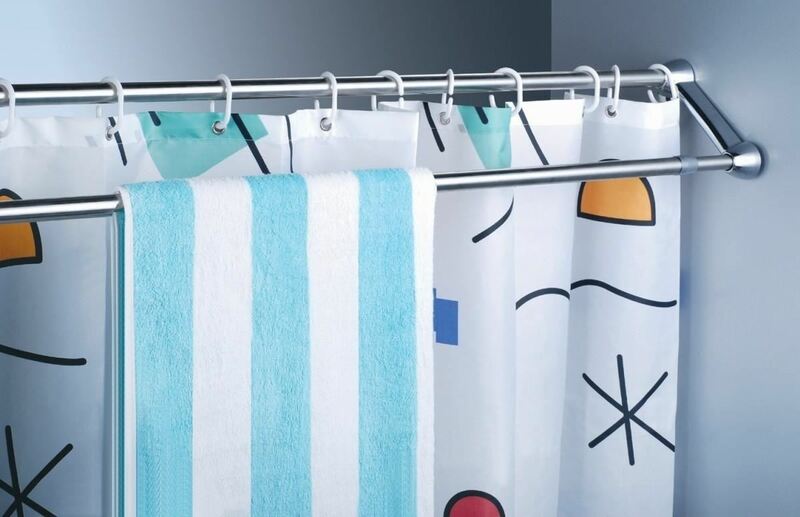 While shower curtain rods are great inside the shower, they're equally helpful outside. If you need more space to hang towels, add an additional rod outside next to your other one. Home improvement retailers even sell pre-made dual shower curtain rods like this one or this one, perfect for hanging anything. 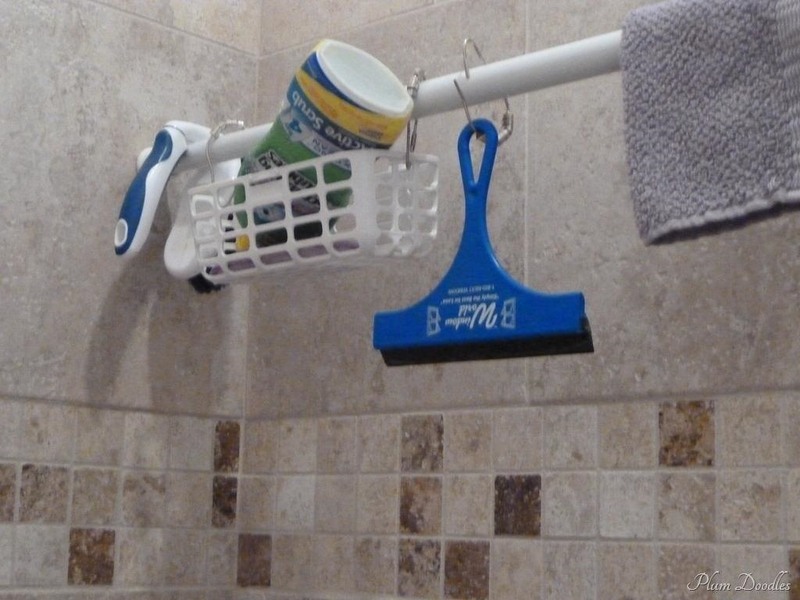 With the double-rod facing inward, any drippy swimsuits or other wet items in need of drying will leave their water in the shower where it belongs. 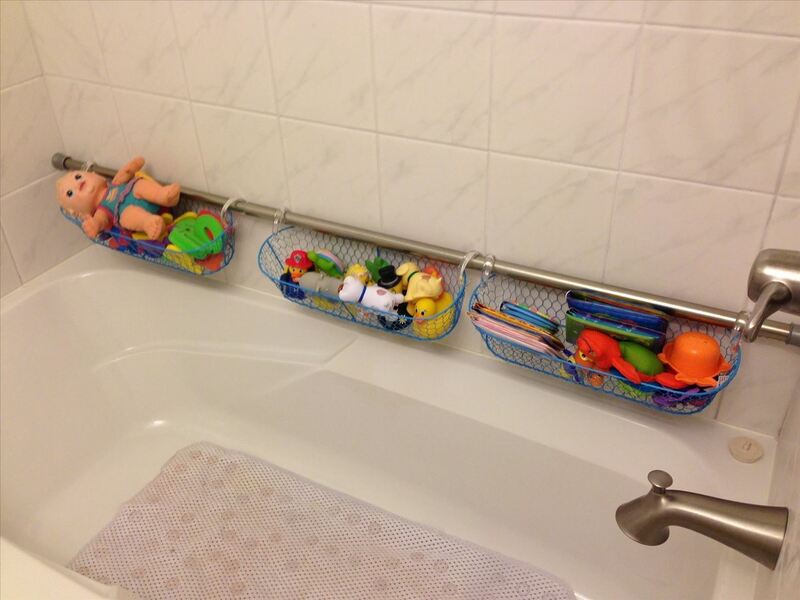 Need more organization tips for the bathroom? Check out this guide to see how to keep loose hairpins under control, keep hairstyling tools together, turn baskets into shelves, and more. 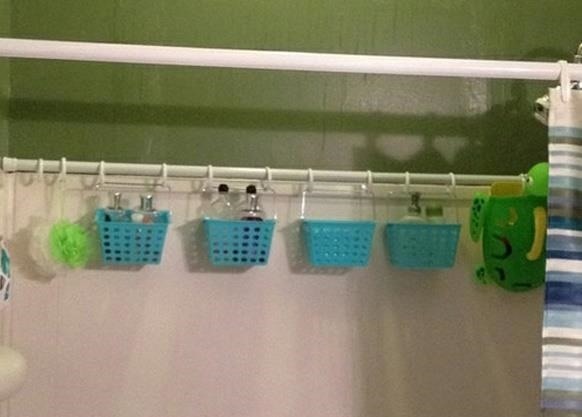 Yumi suggests using a tension rod inside sink cabinets to hang bottles from and using over-the-door shoe organizers to hang bath products from. 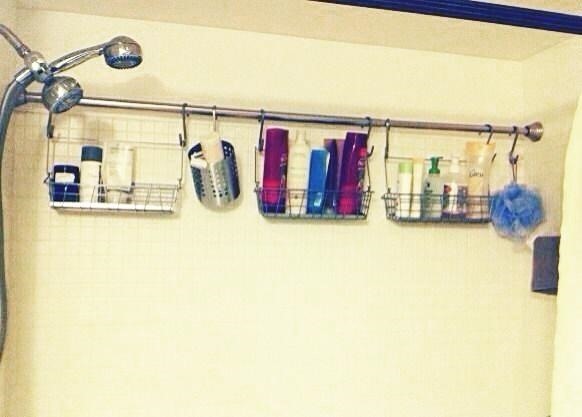 What hacks do you use to organize your bathroom better?